GREAT LOCATION for your business in growing Greenville! Just a minute to I30, near Wal-mart, on a cul-de-sac street; Approximately 400 sqft of covered AC area, currently being used as office and waiting room. Office includes a private half bath; and additional bath in waiting area. The warehouse has approximately 1650 sf with 4 bay doors and extra storage. 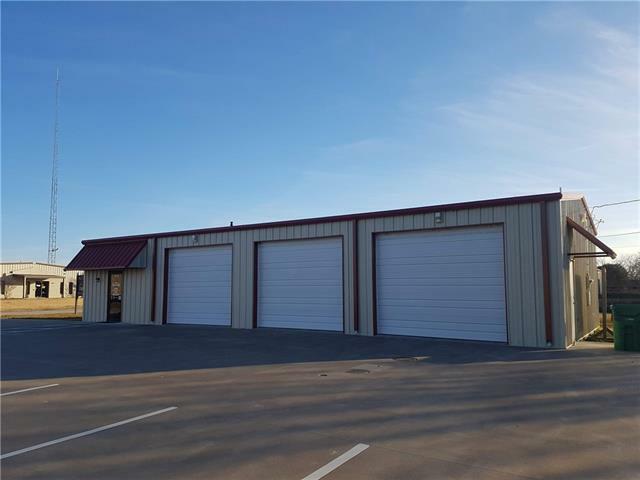 4 - 10' x 10' OH doors, floor drain, half bath in first bay, floor to ceiling curtain wall, hot water in 3rd bay; Possibilities are endless with this Commercial building!